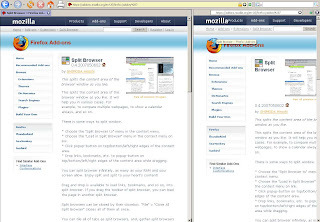 Did you ever need to look at/compare two (or more) websites side by side? 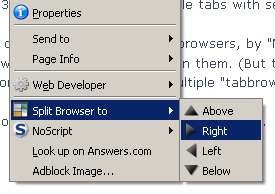 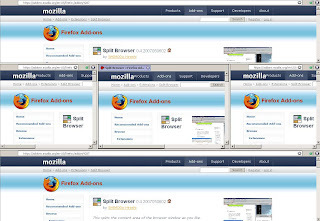 If you did, this Firefox add-on, Split Browser, will do the job for you: you can use it to split the content area of your browser window in whatever ways you like. 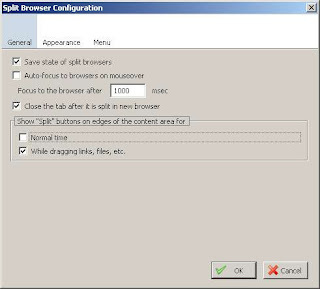 If you don't uncheck this checkbox, the split button will appear when you're scrolling with the scroll bar, which is a little bit annoying.